It is suited for companies of any size that want to save money by reducing their A/P staff. There is also an option for vendors to use NVoicepay credit cards that offer rebates that help to offset costs of your A/P staff and their fees. NVoicepay fees are minimal as well...it is a per transaction fee with ACH/credit card option being less expensive than checks. A great solution for payments for all companies! 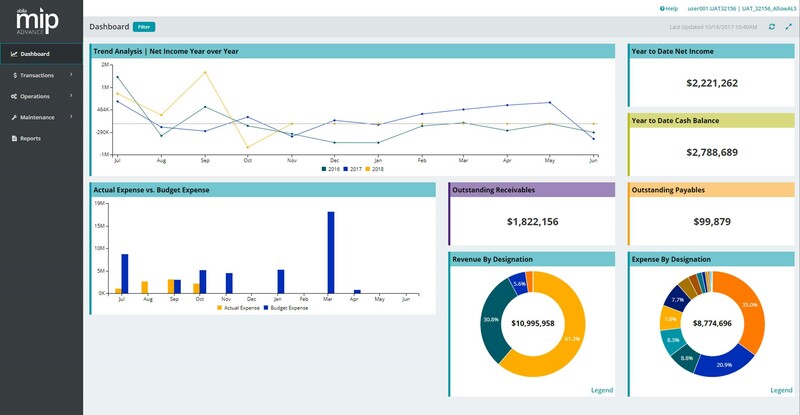 Tracks budget amounts and availability very smoothly and the reports are easy to read and utilize. The encumbrance tracking is excellent and makes staying on budget much easier. The general ledgers are easy to access and read. Information by funding source is easy to track and access. Like the 1099 coding functions. Nvoicepay does a great job of pulling the invoices in from our DMS system on a daily basis so we can see what invoices need to be paid. NVoicepay allows for many methods of payment. They call all of your vendors for you and set them up on their preferred payment methods. NVoicepay takes care of all issues for you with the vendor. They make all of the payments once you initiate it in their system. NVoicepay is not integrated with our A/P workflow system which is Symbeo so a full integration would be helpful to review the invoices as I am approving the payments. Sometimes NVoicepay runs slow when multiple users are in the system. NVoiepay runs slow when looking up payment history on a vendor. It is great and easy to use once you have had some training, some are more complex than others, but overall it is a great product. We used Zevez in the past to make credit card payments but NVoicepay is a much more robust system which also allows for ACH and check payments. Also, they were able to contact vendors for us and sign them up with their preferred payment methods. Easy to implement and easy to use. It has allowed our staff to remain constant for several years even with the addition of several dealerships. Also the rebates we earn offset our fees on our A/P Automation system, Symbeo.